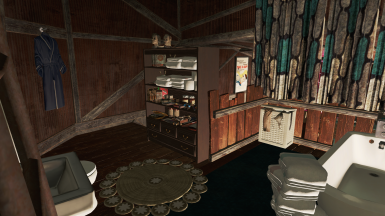 I lead the team for Creative Clutter, have various mods of my own, and provide both support and new content for two mods originally created by other mod authors, Modular Kitchen and Do It Yourshelf, whose creators have retired from modding. 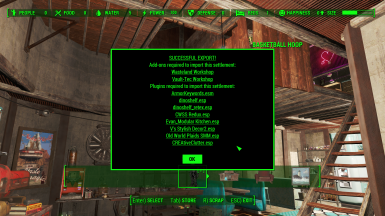 I also provide support (not content) for the Sim Settlements community (forums and discord) and Settlement Menu Manager. Modding interests: mesh manipulation and level design. 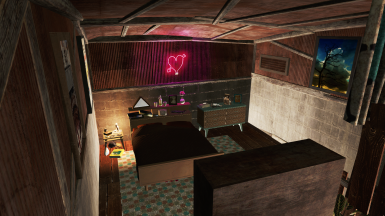 I'm terrible at scripting and texturing. I'm interested in learning 3d modeling. I also enjoy helping people learn new modding skills. At this point I vastly prefer modding to actually playing the game. Non-modding interests: some gaming, reading, spending time with people I like. Please do not ever use my content for commercial purposes. Please check the mod page's credits details and check for content I may have used or altered by another mod author, if so you will also need their permission to use those items as well. Please do not host my content on the Mod Drop site or any future site created by the owner/creator of the current Mod Drop site. If you wish to use items in Creative Clutter specifically and cannot reach me please try reaching all other members of the mod team first before assuming permission. Most likely at the time that the core active members of Creative decide to retire from supporting that mod we will publish specific permissions for that mod at that time and those rules will overrule what I have in my profile here. This profile will is my default minimum requirements. Any additional requirements posted in a modding will on a specific mod page will also need to be met for that particular mod. 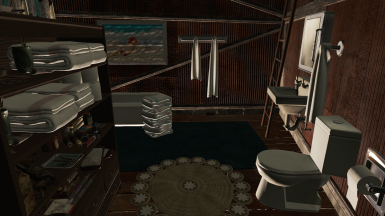 damanding changed some attributes to CREAtive Clutter: Description changed. damanding changed some attributes to Home Plate Transfer Settlement Blueprint: Description changed.